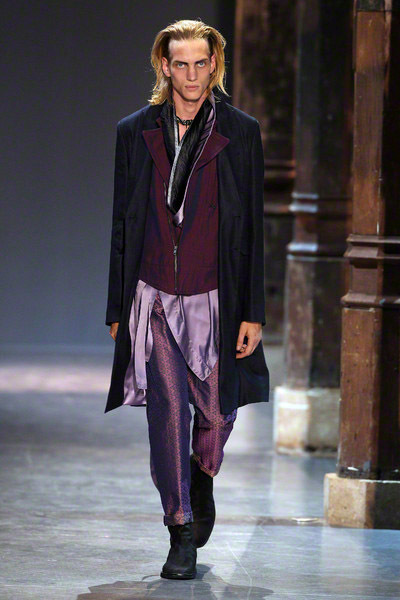 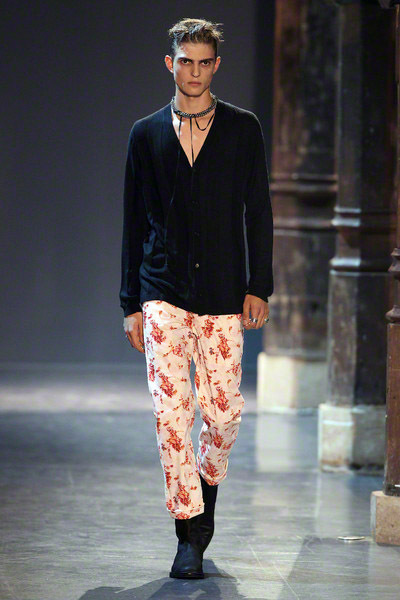 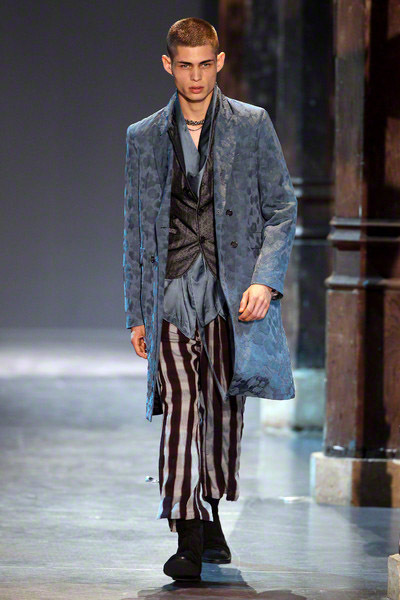 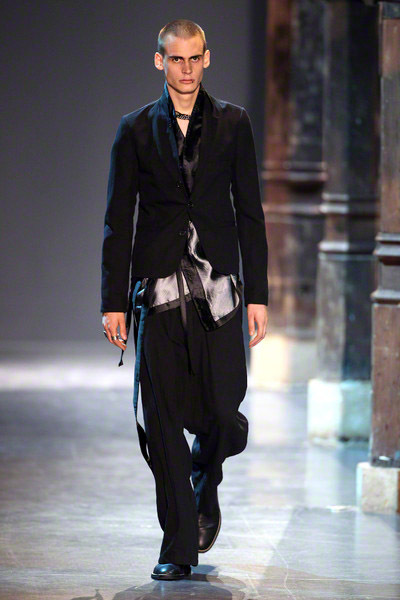 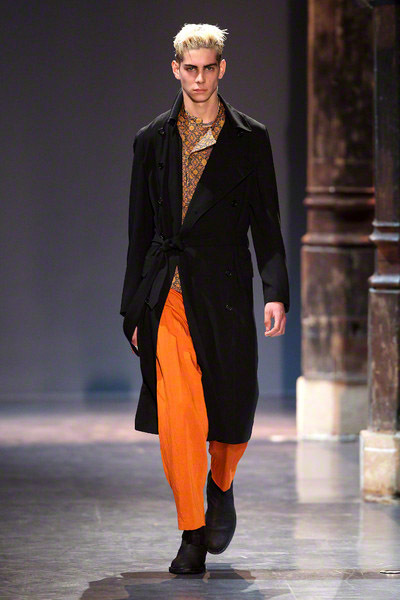 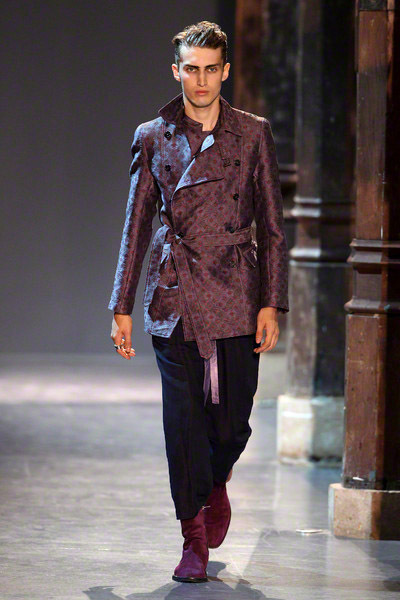 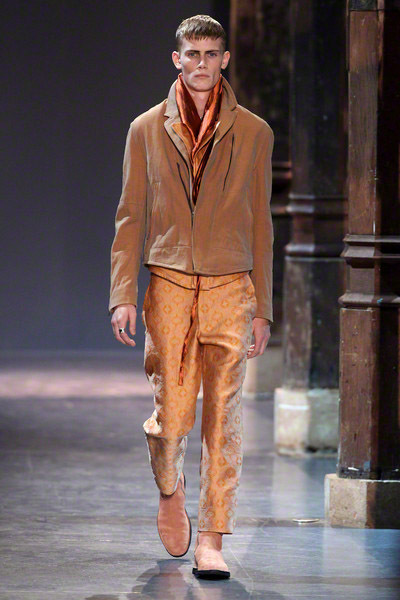 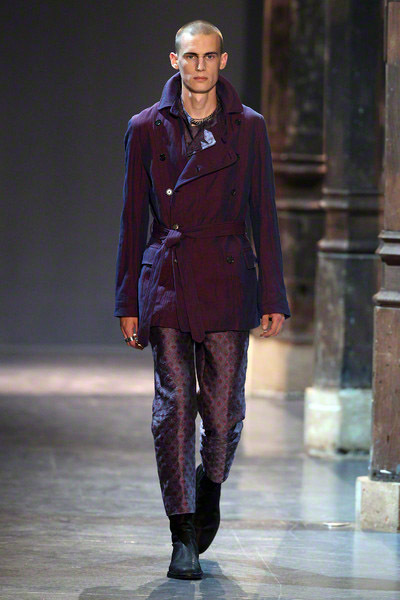 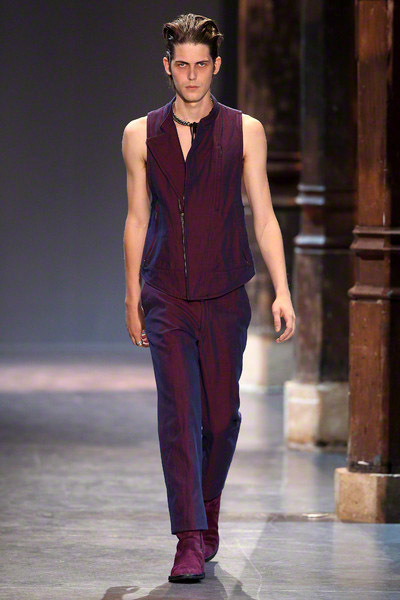 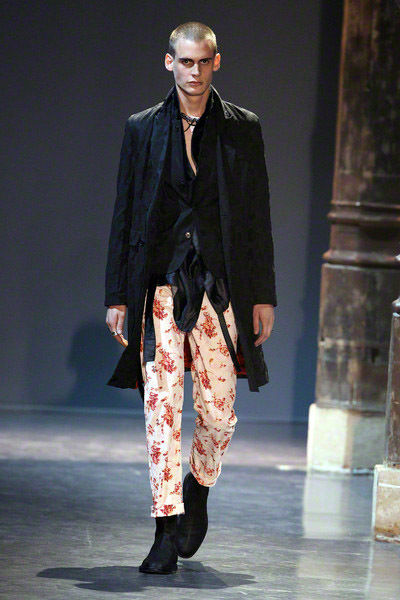 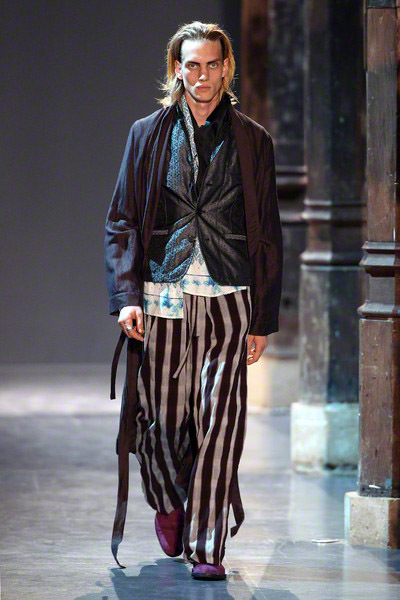 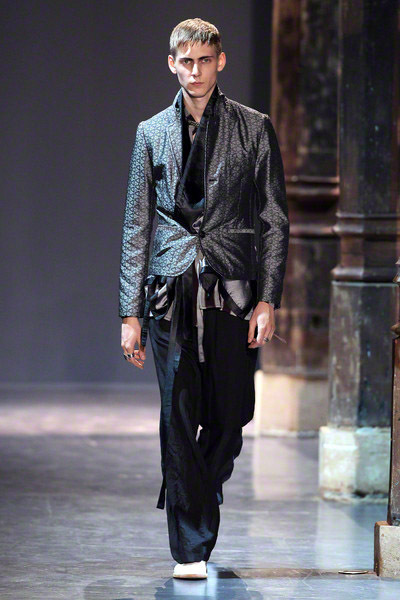 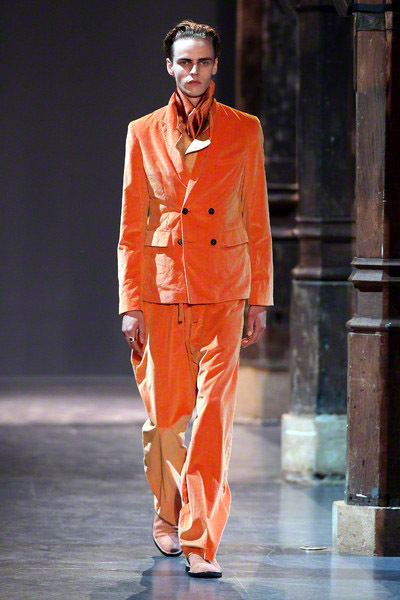 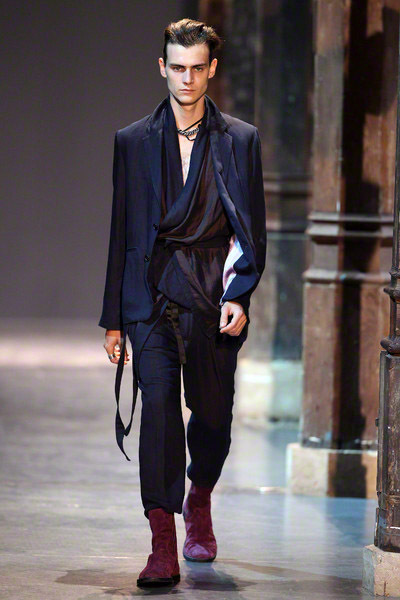 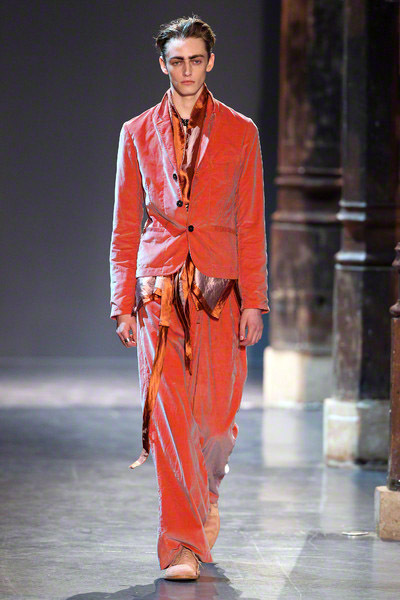 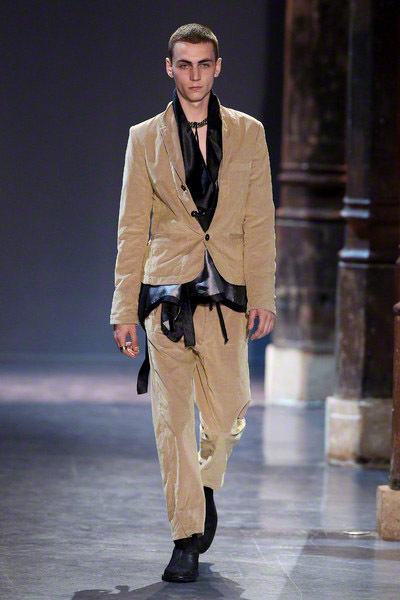 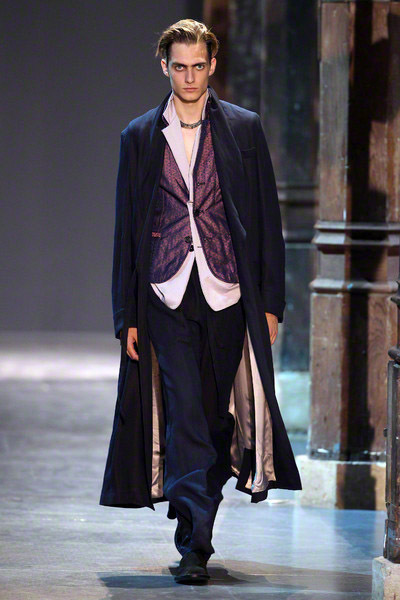 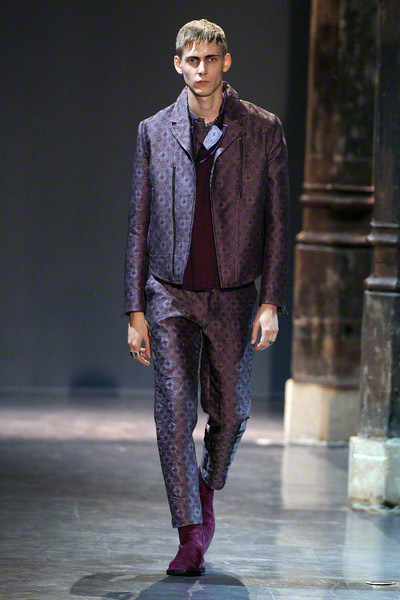 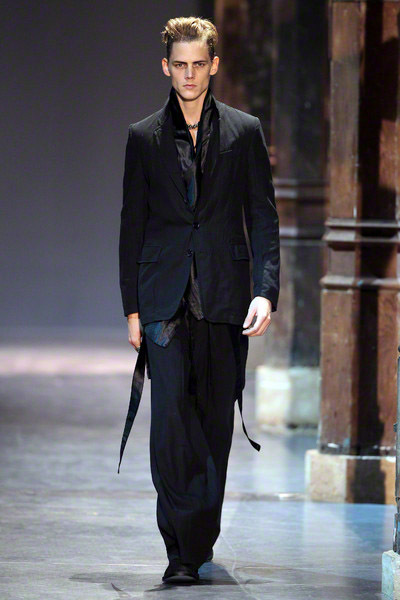 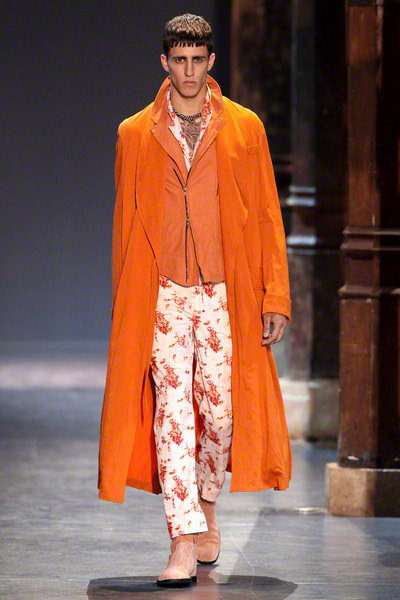 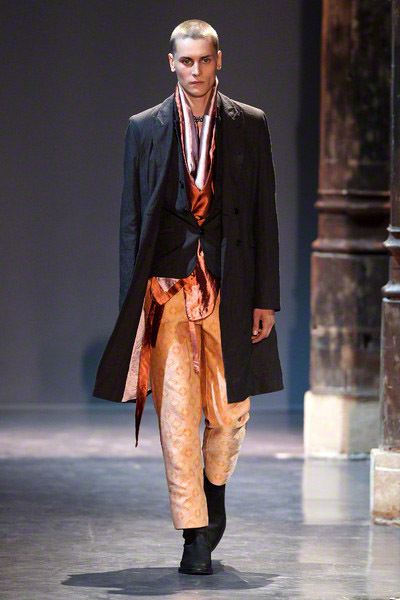 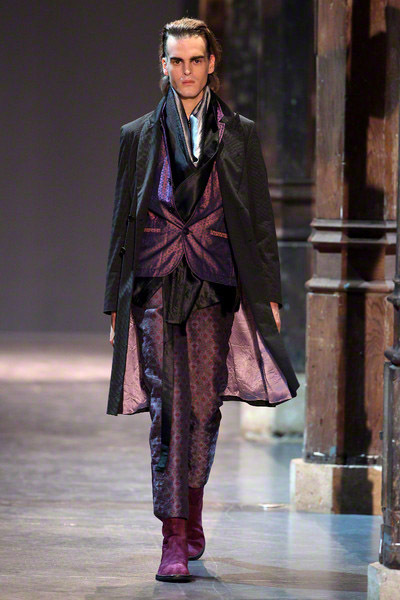 This time Ann Demeulemeester – the Belgian queen of black – wanrted to prove she can use color too in her collections. 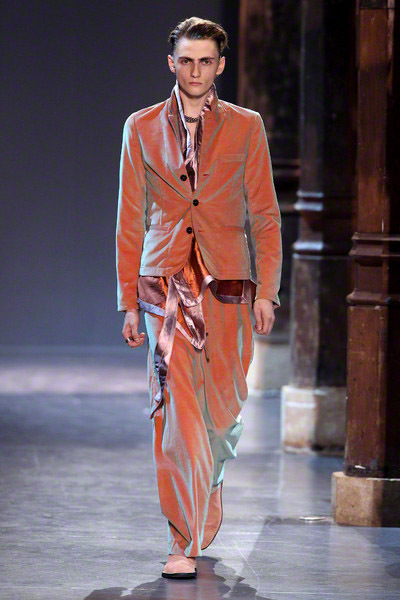 Her show opened with deep-wine purples and ended with orange and sea blue. 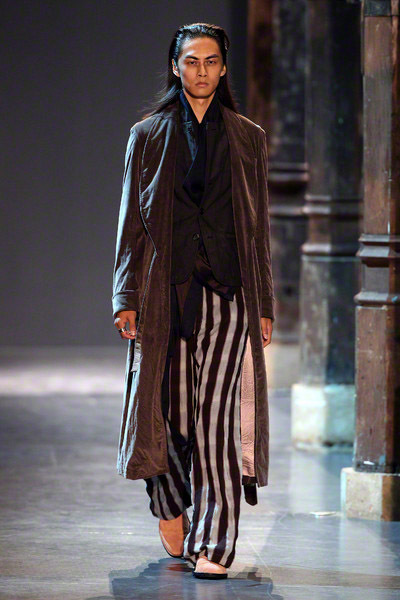 She may have changed her color palette, but her man stays the same: romantic and a loner. 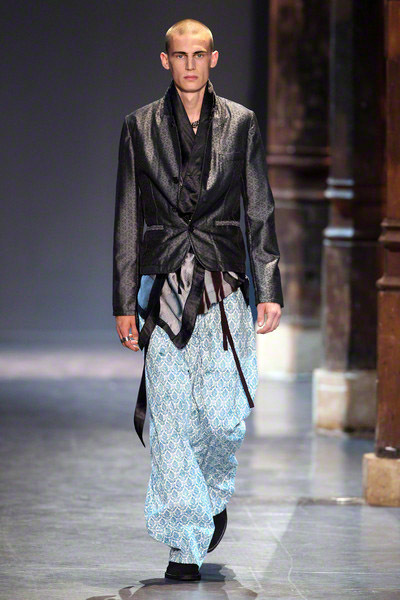 Some oriental elements resonated in this collection, like the side-tied silk kimono tops bubbling out from beneath jackets, trailing sashes behind. 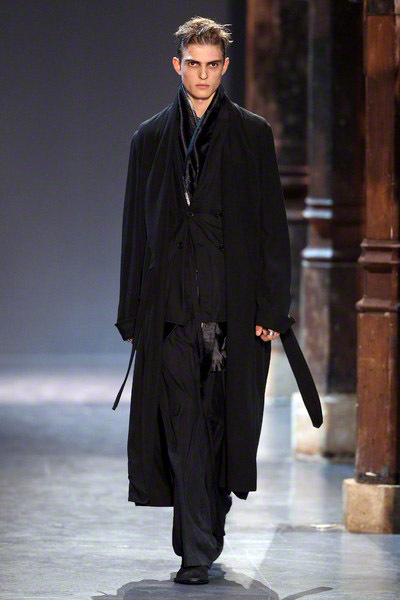 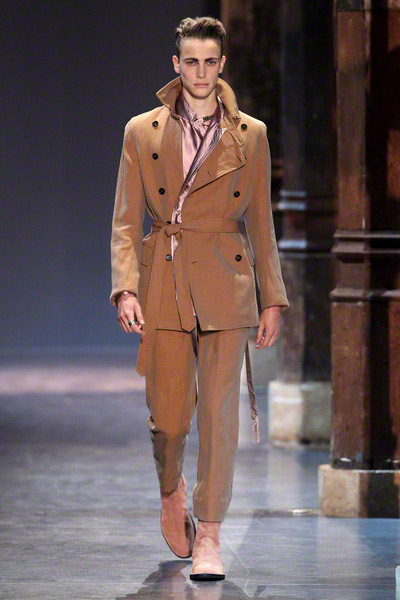 Demeulemeester made it her own by undercutting preciousness with ease. 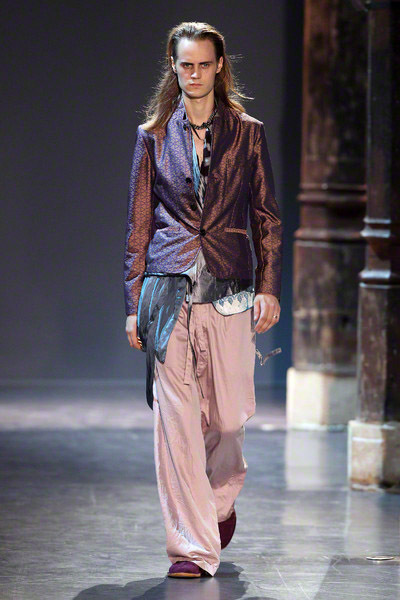 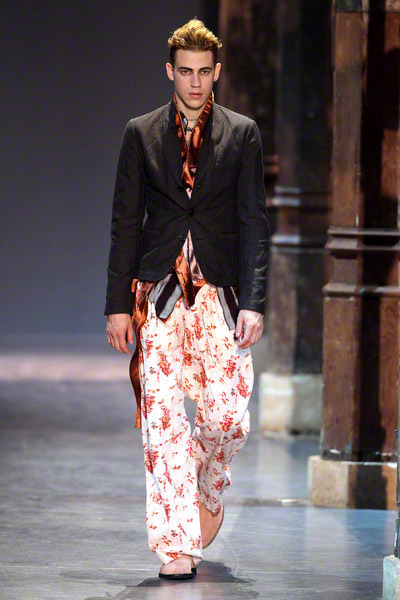 She loosened her stricter silhouette with wide, soft pants, some printed with casual stripes or graphic roses.